A miniature India in itself, comprising the mountains, forests, a large number of rivers, the Gangetic delta and the sea, the state of West Bengal in eastern India is one of the best known tourist destinations of the country. The state has immense geological importance as the Ganges enters its final stage here, and drains the world�s largest delta which is home to the Sunderbans, the habitat of the royal Bengal tiger. The land is extremely fertile and the state has a varied topography that has resulted in widely differing cultures, trends and lifestyles. Kolkata (formerly Calcutta), Shantiniketan, and Darjeeling are the most well known tourist attractions in West Bengal. The state has given the country as many as four Nobel laureates. Kolkata, which was till recently called Calcutta, represents the glory enjoyed by the British colonial power in India. The Jewel in the crown of the British Empire, India, was ruled from Calcutta till 1911 when the capital was shifted to Delhi. Signs of Colonial past can still be seen all over the city in the form of various monuments, old buildings and street names. The city is often called the intellectual capital of India as numerous intellectuals have made the country proud working or hailing form here. These include the world famous film maker Satyajit Ray and perhaps the greatest Indian poet, Rabindranath Tagore. The city also took center stage during the entire freedom movement of India. Netaji Subhash Chandra Bose, Sri Aurovindo and many illustrious names of the pre independence era belong to the city of Kolkata. 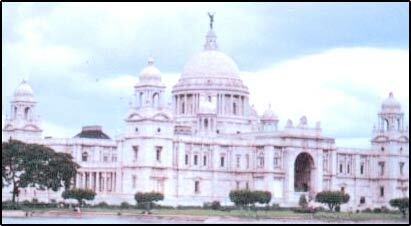 The city of Kolkata has the most prominent landmarks of the state. These include the Victoria memorial Hall, the writers� building, Town Hall, The Indian Museum, Asiatic Society, Rabindranath Tagore�s residence, national Library, the strand road, and a host of old churches, temples and other places of importance. Darjeeling is often called the Queen of the Hills. It is one of the most beautiful hill stations in India and is among the major highlights of tourism in West Bengal. The state has many forests that are rich in wildlife and are known for the leopards and elephant population. The northern region is known for some swift flowing rivers like the Teesta, which is popular among the adventure enthusiasts. There are numerous other tourist attractions in West Bengal that include religious and historic spots. Malda, Murshidabad, Bishnupur, Nadia, and Chandernagore are some of the places known for their historical association, while Tarakeshwar, Bakreshwar, Kamarpukur, Belur , and Dakshineshwar are the famous religious spots. West Bengal is famous all over the world for its spectacularly vibrant festival known as Durga Puja. The seven day festival is dedicated to Goddess Durga whose victory over a demon symbolizes victory of good over evil. The entire state sports a new look during the festival and the city of Kolkata becomes an exhibition of pandal (temporary structure treated as temple) decoration which showcases some of the most exquisite art work of the region. The state is cosmopolitan in nature and other festivals like Eid, Buddha Purnima, Shiva Ratri, Dipawali, and Christmas are celebrated with equal vigor. The state is well connected with the rest of the country and the world by all possible modes of transport. The major airports are located at Dumdum, near Kolkata, Siliguri, Coochbihar, and Malda. The Netaji Subhash International Airport is the international airport located adjacent one of the domestic airport at Dumdum, near Kolkata. Howrah Station is one of the major terminals of Indian railways, and has a large number of trains originating, and passing through it. It connects Kolkata to almost the entire country. The state is also connected by the network of national highways to the rest of the country. Find out more about West Bengal and its tourism in touristplacesinindia.com that offers online information about the tourist destinations of India.